More and more businesses are investing in customer loyalty programs. 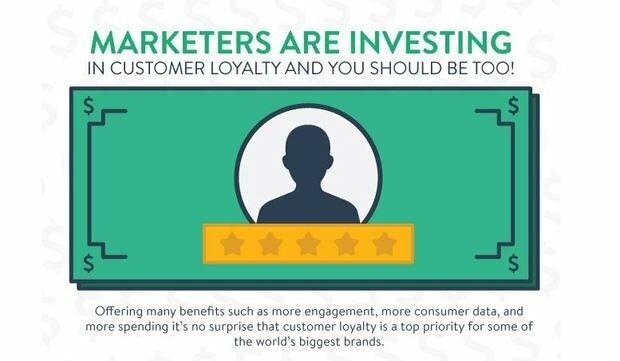 Payfort created this infographic to tell you why you should be investing in customer loyalty too. A loyalty program can help your customers stay engaged with your product and connect with it which means he will likely recommend it. It increases trust and thus loyal customers are likely to spend more money on your product. It also helps you collect data from your loyal customers which can help you customize your products and generate more revenues. Payfort states that acquiring new customers is very difficult and a strong loyalty program ensures your effort doesn't go to waste. Increasing your customer retention by just 5% can increase your revenues by up to 95%. High spenders know what they are worth and can easily switch to a competitor after a bad experience. Make sure they have the best experience with your brand and reward them for being loyal.